Chances are if you are a country music fan you have heard this song by Eric Church. It's a love song about a wayward guy that has too many problems to count but has thankfully found a woman who loves him just the way he is...she loves him like Jesus does. 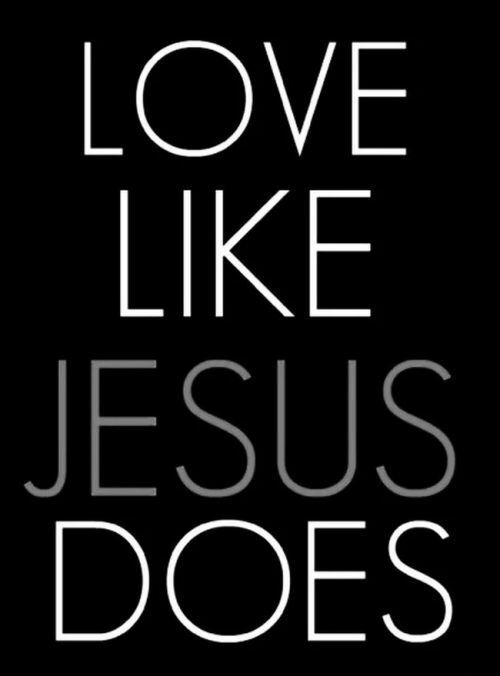 Loving people like Jesus does should be our mission each and every day. You never know how much time you will get to spend with people you meet and people you love. 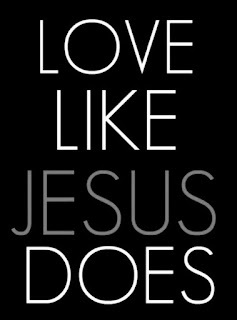 So we should spend that time doing something enormously beneficial...loving like Jesus loves. Every person that we come eyeball to eyeball with deserves forgiveness, hope and that special kind of love. The love of Jesus can look beyond the brokenness. The love of Jesus can see through the facade. And the love of Jesus is so much stronger than anything the devil tries to throw at you! How about joining me right now and offering up some mercy, mixed with the grace of God and do something that you have never done before...forgive, extend a helping hand, and love people like Jesus does. This kind of love will change the world!